Elegant and beautiful, this dainty design is inspired by the glamour and elegance of the 1940s. The epitome of understated 1940s glamour, our Precious Pearl Pendant could easily be mistaken for a precious vintage 'piece' with a 5 digit price tag. 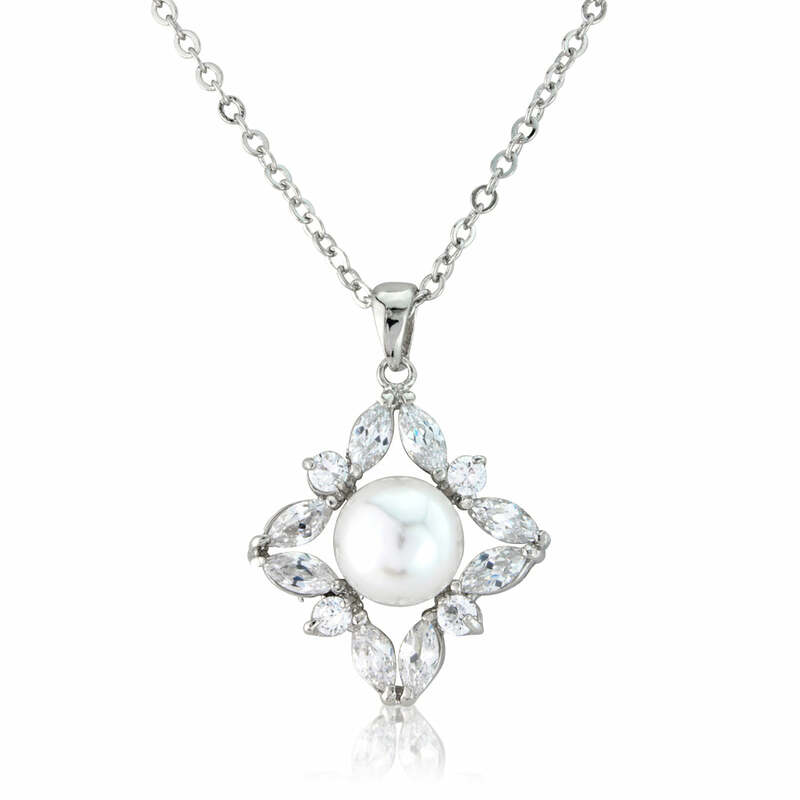 Featuring an open diamond design encrusted with sparkling clear marquise cut crystals with a light ivory faux pearl set in the centre, this elegant pendant is suspended from a fine silver tone chain. A beautiful gift for someone special who adores classic vintage style, this is perfect for every occasion for lunching with the girls to a glitzy evening event. An exquisite wedding pendant for brides who favour 1940s style, coordinate with a simple stud earrings and a delicate bridal bracelet for subtle Starlet style. Also a divine bridesmaid gift your 'maids will treasure forever!